A 40 years old male with recurrent headache. MRI Brain FLAIR shows multiple T2 hyper intense foci in bilateral fronto parietal peri ventricular white matter. Confluent T2 hyper intensity in bilateral temporal white matter at its pole. Changes of Small vessel disease _ early for age of patient. Pt is non hypertensive and non diabetic clinically. Migraine is major and a well known problem in family. A hereditary small-vessel disease due to mutations in Notch3 gene on chromosome 19, which causes stroke in young adults. The small vessel disease is non arteriosclerotic, amyloid-negative angiopathy primarily affecting leptomeningeal and long perforating arteries of brain. 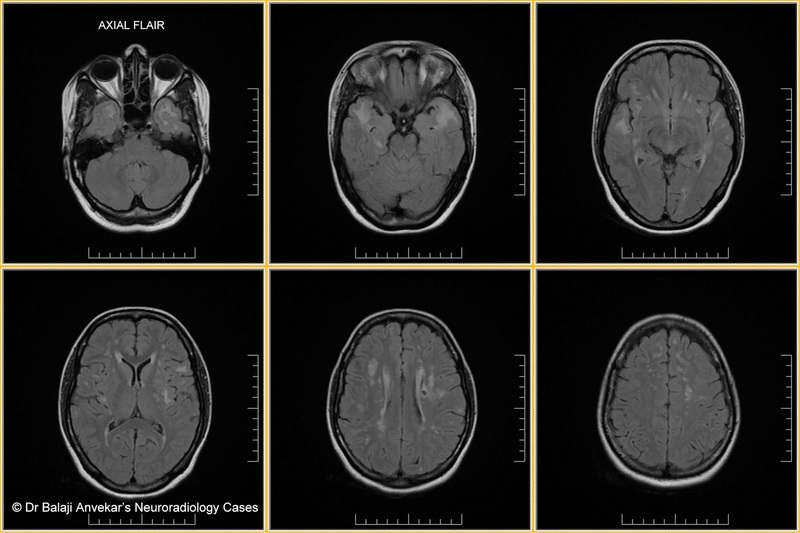 Imaging wise diagnostic clue is characteristic sub cortical lacunar infarcts and leukoencephalopathy in young adults. Lesions hypo dense on CT and T2 hyper intense on MRI. Frontal lobe has highest lesion load followed by temporal lobe and insula which is characteristic. Other frequent locations are periventricular regions and centrum semiovale. Internal and external capsule. Less frequent regions are basal ganglia and brain stem. Spares fronto-orbital and occipital subcortical areas. Cerebral cortex is generally spared. 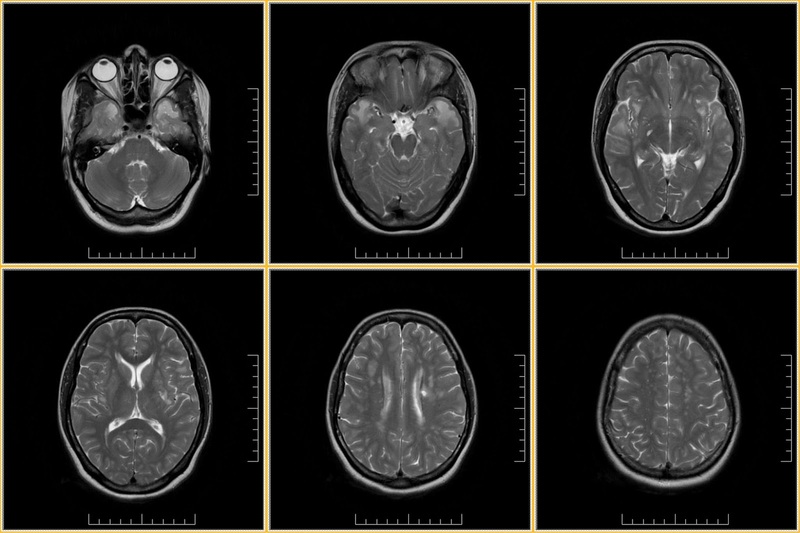 Multiple lacunar infarcts in lenticular nuclei, pons, thalamus, internal capsule, and caudate nuclei. 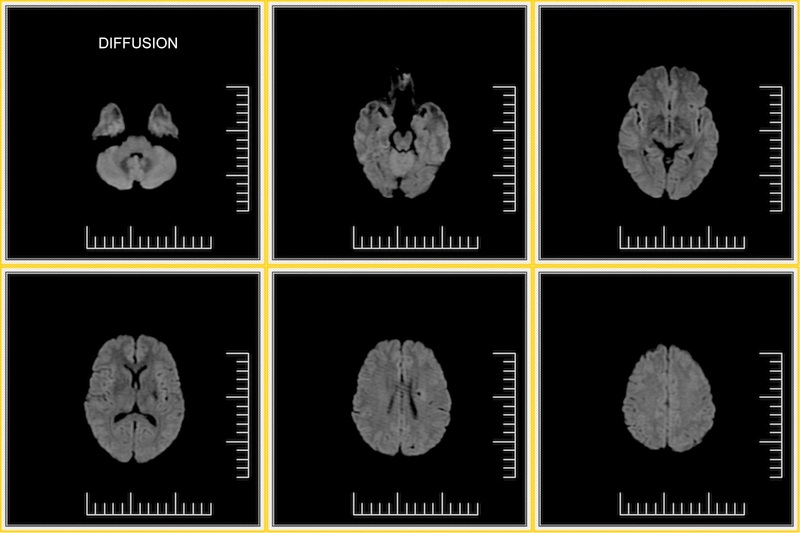 Associated diffuse, confluent regions of periventricular WM involvement. 2. Chronic Hyper tensive Encephalopathy. Bilateral multifocal cortical and subcortical infarcts, hyper intense lesions on FLAIR images. Recent infarct show restricted diffusion on Dw images. Seizures (6-10%), most often following strokes. 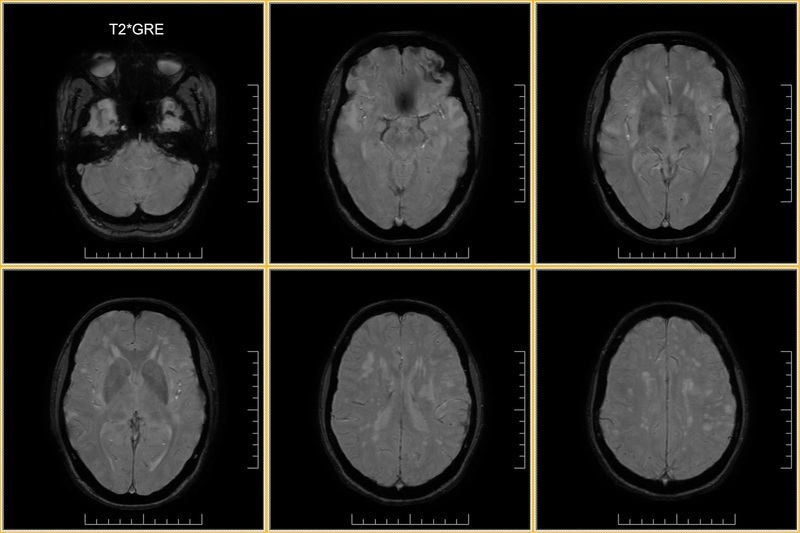 Young or middle-aged patient with recurrent transient ischemic attacks is typical. Complete or near complete recovery after individual strokes, particularly early in disease process.